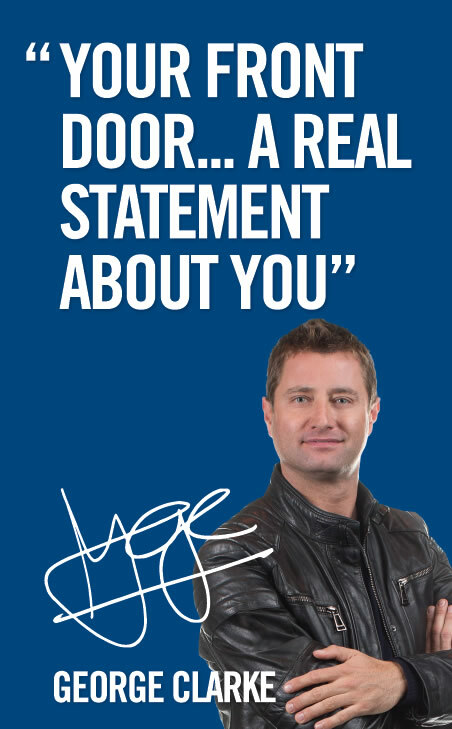 “Hi, I’m George Clarke, product ambassador for Truedor from IG Doors. I believe that Composite Doors are one of the best products on the market today when it comes to quickly and dramatically changing the appearance and the feel of the home, and to making a really personal statement”. “Whether you live in a Victorian terrace, a 1930’s semi-detached, a cottage or a truly modern development, your front door is the most immediately visible feature of your home and is the thing which says most about you”. “For so many years the range of door styles available was quite limited, but thankfully that’s no longer the case. Now there is a vast range of door styles available specifically designed to suit whatever type of property people live in. Exploring the options available can give home-owner ideas for their home they hadn’t thought of before or even realised were possible”. “It means that home-owners can have exactly the door style they want, to suits both the type of the property they live in, and equally importantly to give their home an appearance that is highly personalised to them - a complete reflection of their tastes”. “I always say to home-owners that it is important to understand the crucial role that a front door plays in the look and feel of the home and how important it should be to them – every time they come home of an evening, or friends and neighbours come to the door it is an opportunity for them to feel that the door is entirely personal to them, a reflection of their personality. It should give them a real sense of pride, and a real sense of ownership”. “Meaningful choice is really important, especially in today’s world where people have a real sense of who they are and what kind of statement they want to make about themselves – being able to choose a great front door enables this to happen and is a great starting point for any changes people want to make to their home”.